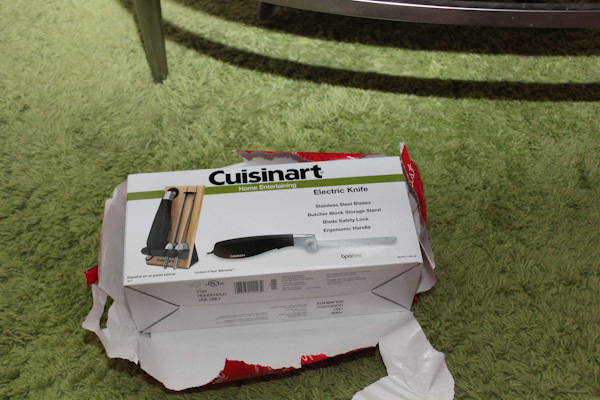 Whew, Christmas was a fun whirlwind of visiting family, opening gifts, and eating too much amazing food. I managed to take 175 pictures using and testing out new lenses for my camera, here are just a few. 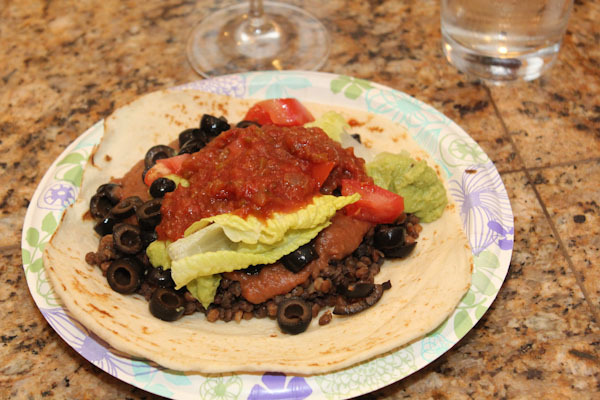 Christmas Eve was a simple and fun dinner of lentil vegan tacos at my sister’s house, we sautéed Trader Joe’s pre-cooked lentils with taco seasoning and layered up vegan refried beans, guacamole, and veggies. Mine ended up being and overstuffed mess that I ate with a fork. 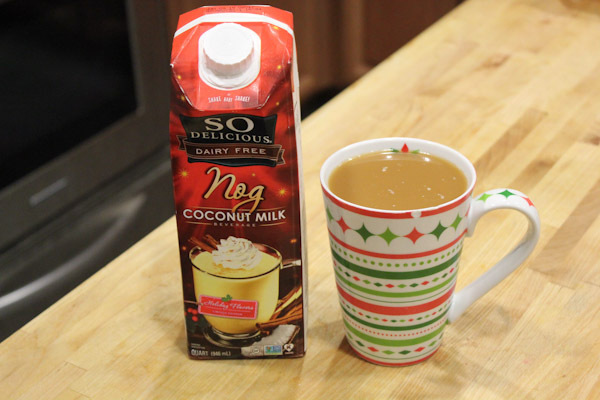 Christmas morning I treated myself to So Delicious Coconut Milk Nog in my coffee, a creamy, light, and delicious alternative to the traditional stuff. 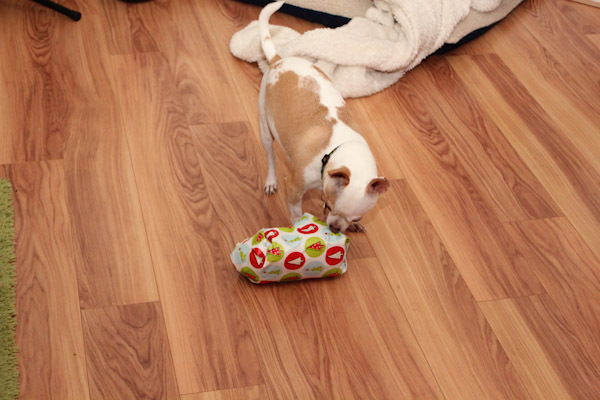 And had a good time watching Miko tear into his gifts. All the pets got Christmas gifts, Leela got a new bed for the front of the fireplace. 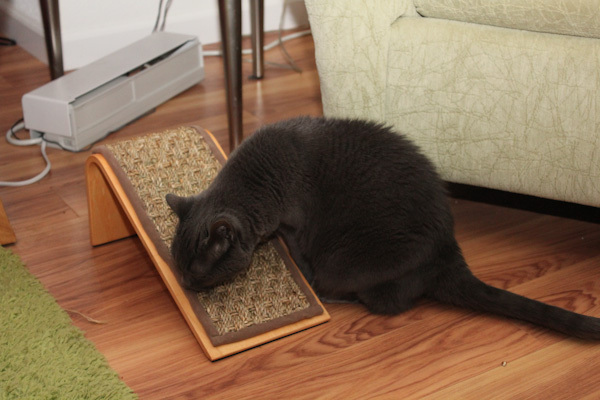 And Smokey got a new scratcher since she shredded the old one. 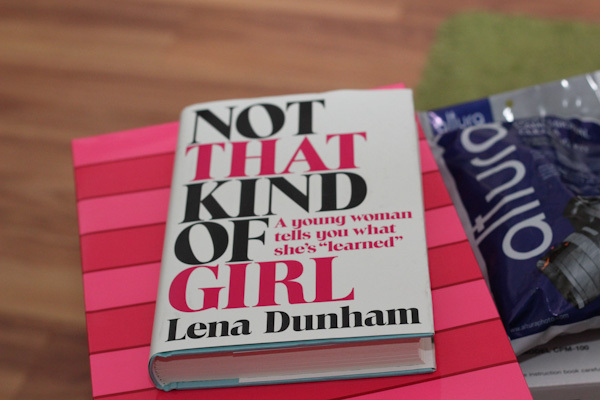 I was a very spoiled girl too getting new books. 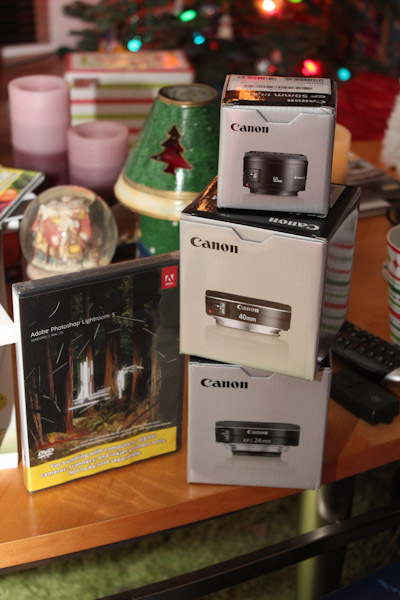 New lenses for my camera and a new version of Lightroom. 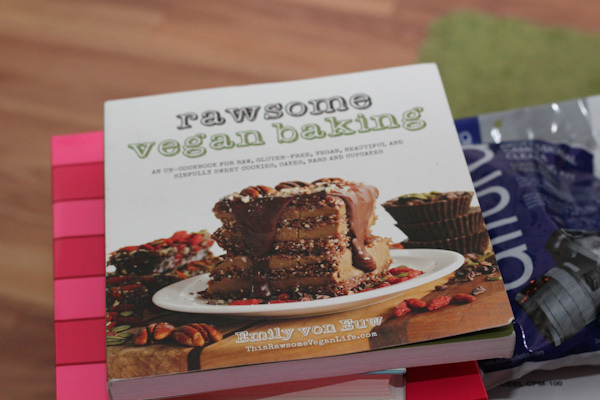 More cook books. Reorganizing and going through my collection is a goal for the new year. And there was breakfast. 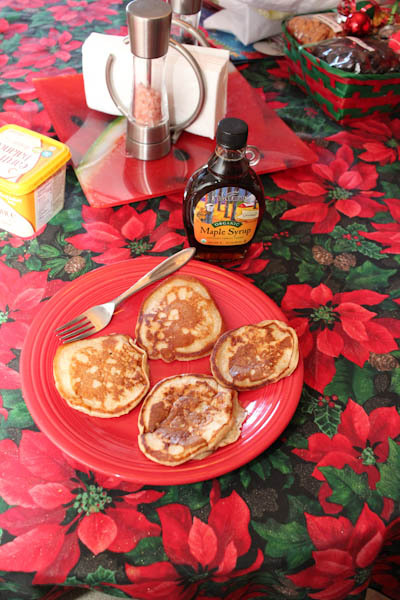 Christmas is one of the few times a year I skip my usual breakfast smoothie for pancakes. I whipped up these vegan banana pancakes yesterday that came out very good! 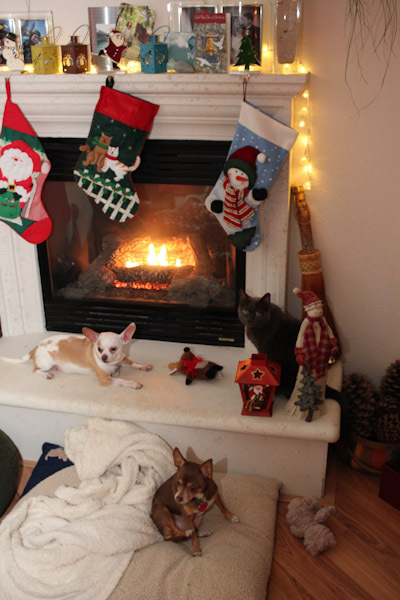 And the pets enjoyed the warm fireplace most of the morning. 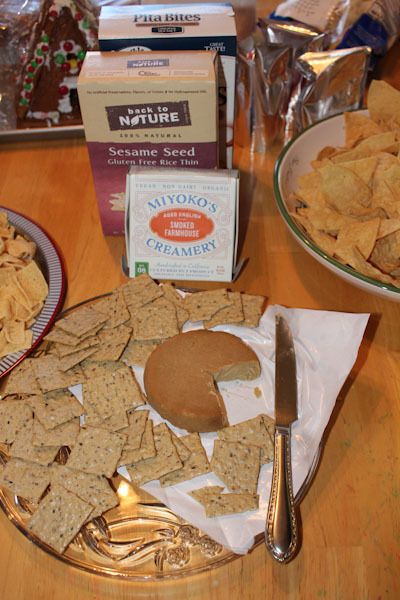 I also splurged on a package of Vegan Smoked Farmhouse “cheese” from Miyoko’s Creamery for the second family gathering at my other sister’s house Christmas Day. This stuff is amazing. It’s been years since I’ve had real smoked cheese, but this is spot on and possibly even better. Pricy, that little package was $10 from Whole Foods, but worth it for special occasions. 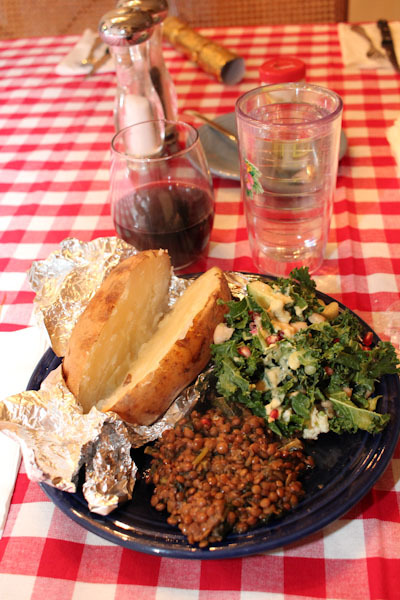 Christmas Day dinner was also amazing – baked potato with Earth Balance, kale salad with hummus dressing, and a slow cooker lentil kale curry dish I broght. 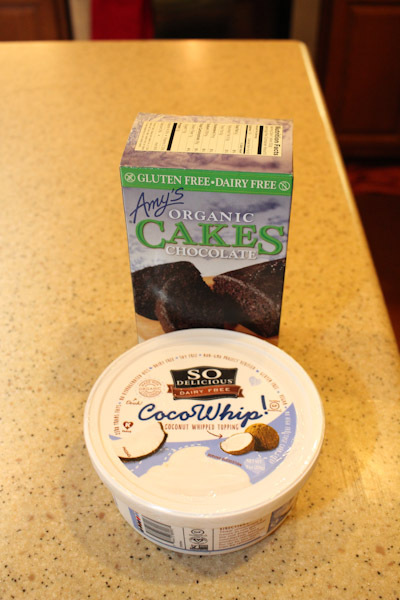 And there was dessert – my sweet mom brought an Amy’s Organic gluten free vegan chocolate cake with So Delicious CocoWhip which is vegan cool whip made with coconut and tapioca. The cake was good, rich, chocolaty, while not being too sweet and bringing out the dark chocolate flavor. But the CocoWhip was the star and most of the family preferred it over the non-vegan spray whip cream because it had a much creamier and sweeter flavor. The last two days have been filled with lots of great eats, family, gifts, and fun. 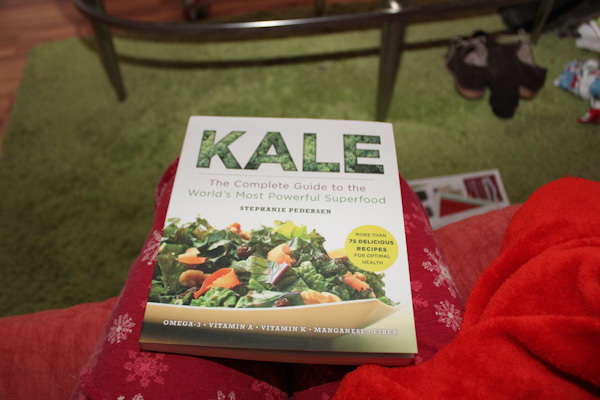 It’s been a great Christmas. But I’m also glad it’s over. This has been a tougher year with a crazier work schedule while trying to prepare for and plan the holidays. I seem to be growing more tired of the consumerism side of Christmas too, I just wasn’t interested in looking at all the newspaper ads, tired of the commercials, and feeling a little overwhelmed by stuff. 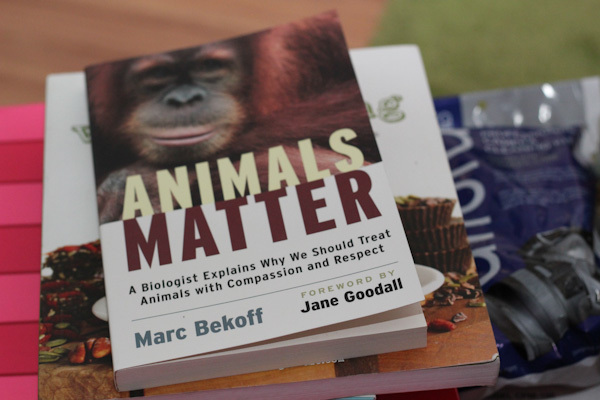 I’m looking forward to things settling down a little, cleaning and decluttering the house, and focusing on a great start to 2015. 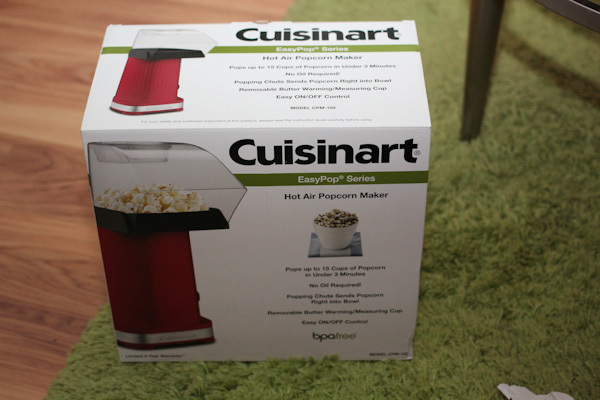 Great Christmas gifts Christine!!! I know you’re going to have fun with those new lenses! 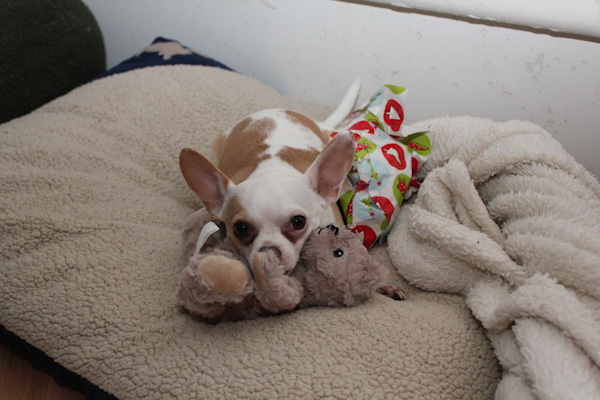 Thanks for sharing the adorable pics of your darling little fur babies. SO cute. And, thank you for letting me know about the So Delicious Coco Whip. I didn’t know it existed, I’m so excited!!! Have a Happy and Healthy New Year. Thanks and true on the lenses, so far they’ve been great for fitting in more in small spaces. Try that CocoWhip, it’s pretty awesome!